Co-Cabinet Spokesperson, Rajitha Senaratne said today that the former President Mahinda Rajapaksa can be taken to courts over his admission to having given the order to distribute ‘Sil Cloth’ to voters during the previous Presidential election campaign. The former President and current Kurunegala MP who visited his former Secretary, Lalith Weeratunga and Anusha Palpita in Welikada Prison, said the two were punished for having followed his orders. Weeratunga and the former Director General of the Telecommunications Regulatory Commission (TRC), Palpita were found guilty of misappropriating Rs. 650 million of state funds during the re-election campaign of Rajapaksa. They were each sentenced to three years of rigorous imprisonment by the Colombo High Court. 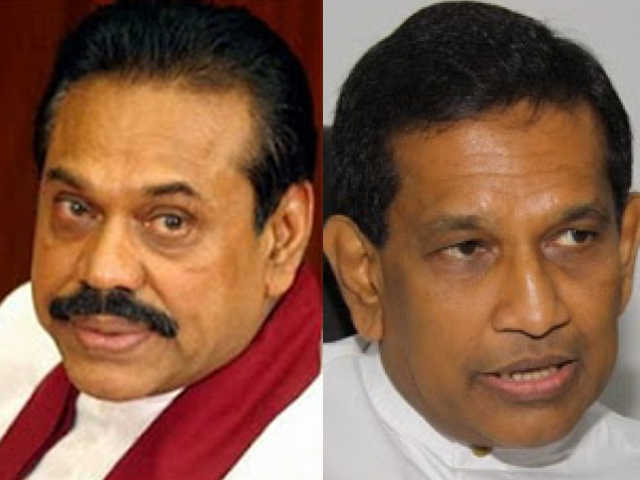 Minister Senaratne however pointed out that Rajapaksa’s statement came in a little too late. “He should have made the statement earlier when the case was taken up in the past 24 days, not after visiting Welikada”, he said, addressing the weekly Cabinet media briefing held today. But this statement comes at a time when the 19th Amendment to the Constitution removed the Executive’s immunity under the law which states that all former and incumbent Presidents are liable for prosecution in a court of law. “He can even face contempt of court charges for questioning the verdict”, added Senaratne. Who is talking rubbish here. Who is talking rubbish here. First of all drag this dentist to courts for all his past mega deals.